Read about our acquisition by b8ta. Announcing our acquisition by b8ta. We’re making Retail as a Service smarter. The in-store experience is your greatest asset. But today, the customer journey for 80 percent of modern store customers begins online. Is your brand leveraging its digital presence to engage these shoppers? Brickwork helps retailers captivate customers with digital-to-store software designed to drive in-store sales. We equip you with a total solution to identify, engage and activate modern shoppers. Digital has transformed the way today’s customers shop. 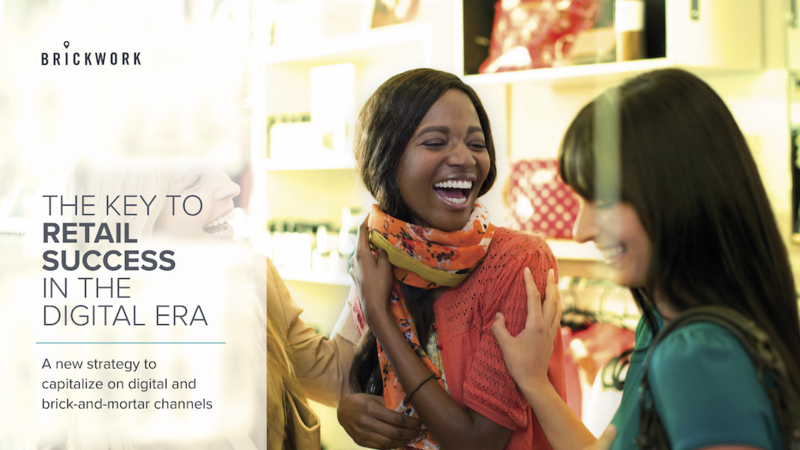 Now it’s time to transform the way retailers think about the path to purchase. The Brickwork platform moves beyond the uncertain hype of “omnichannel” to help you optimize the digital presence of your retail stores to drive qualified online traffic to unique in-store experiences via geo-location features, online appointment booking, event RSVPs, and local content and marketing. In turn, Brickwork provides consumer insights in a comprehensive data map of digital-to-store customer journeys.